Flip4Mac is software used as a component of QuickTime for Windows video audio files playing on Mac OS X system. There are Flip4Mac Player (Pro) and Flip4Mac Studio (Pro HD). As time flies, Flip4Mac also develops much more wonderful features like convert files, export files to iOS devices, support HD files and so on. However, some problems have been troubling Flip4Mac users since Apple released Mac OS X 10.10 (Yosemite). One of the most serious problems is some customers find QuickTime with Flip4Mac is not able to work properly with some WMV or WMA files when they upgrade to Mac Yosemite. It is because QuickTime loses its ability to support some files when upgrading to Yosemite. So as a part of QuickTime, it is normal that Flip4Mac cannot work functionally. What is worse, so far Apple has not given any announcement regarding this matter. What can we do? Is there a Flip4Mac Alternative for us? Of course, there is always a solution. This article will show a wonderful Flip4Mac Alternative for you. 4Videosoft Video Converter for Mac is an all-in-one Video Player, Converter, Editor and can be work with any Mac OS X system. 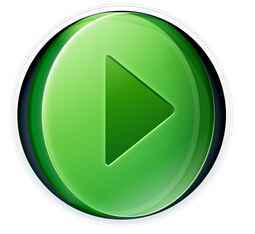 Video Audio Player: Support playing nearly all kinds of videos, movies, films, audios, music, and sound freely and funny. You are able to play any Windows Media freely. Video Audio Converter: Work with hundreds of video formats like FLV, MOV, MP4, WMV, AVI,MKV, WTV, ASF, ASX, SWF, MXF, OGM, DV-AVI, DivX, Xvid, F4V, WebM, AVCHD, MTS, MOD, Apple ProRes, R3D, M2TS, M2T, TS, TOD, MPG, AMV, VP9, H.264, OGV, RM, RMVB, M4V, MP3, WAV, WMA, M4A, 3GA, Apple Lossless ALAC, CAF, FLAC, OGG, M4B, MKA, AAC, AC3, DTS, RA, RAM, APE, AU, AUD, AIFF, AIF, AIFC, MPC, QCP, SHN, TTA, PCM, AMR, AWB, VOC, VOX, MPC, etc. Video Audio Editor: As an inbuilt video editor, Flip4Mac Alternative enables users to trim or clip files, crop videos, merge files into one, split by chapter, add effect/subtitle/watermark to the source videos, enhance videos like remove noise from files, optimize file brightness and contrast, do some 3D effects, adjust volume/bitrate/sample rate/video and audio codec, change audio channel, capture your favorite pictures from your video movies and so on. How to Play, Convert, and Edit Files with Flip4Mac Alternative? For Mac users: Free Download Flip4Mac Alternative to your computer and run it. For Windows Users: If you need Flip4Mac similar software, get Flip4Mac for Windows here. Click the “Add File” button to load files to the software. To play files, click “Play” button to view it. To convert files, click “Profile” button and choose the wanted output format there. Click the “Convert” button to start the converting. Click “Clip” button to trim or cut videos. Click “Edit” -> “Crop” button to crop files or remove black bars. 4Videosoft Video Converter for Mac is definitely the most ideal Flip4Mac Alternative for you to freely play Windows Media Video Audio (WMV or WMA). Free download Flip4Mac for to get started right now. This entry was posted in How-To and tagged flip4mac alternative, flip4mac alternative for mac, flip4mac alternative for windows, flip4mac for el capitan, flip4mac for sierra, flip4mac for windows, flip4mac for yosemite, flip4mac free download. Bookmark the permalink.